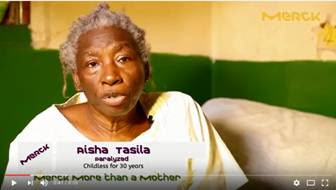 Merck More than a Mother” engages policy makers and fertility experts to define interventions to improve access to regulated fertility care in Africa and Asia. 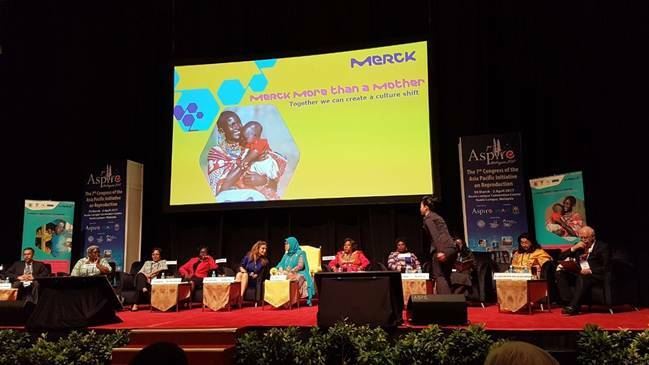 “Merck More than a Mother” initiative in partnership with Asia Pacific Initiative on Reproduction (ASPIRE), conducted a panel to address challenges and solutions to improve access to regulated fertility care in Africa and Asia. The high-level panel discussion of policy makers and international fertility experts held during the 7th annual Congress of ASPIRE in Malaysia also focused on exploring opportunities to collaborate with Asian Fertility Societies in order to build cost effective and safe fertility care capacity in Africa and developing countries. Her Royal Highness The Crown Princess Azizah of Pahang, Founder and Life President, Tunku Azizah Fertility Foundation, Malaysia and Dr. Rasha Kelej, Chief Social Officer, Merck Healthcare meeting before the ‘Merck More than a Mother’ event held during 7th Congress of the Asia Pacific Initiative on Reproduction Congress (ASPIRE 2017) in Kuala Lumpur, Malaysia. 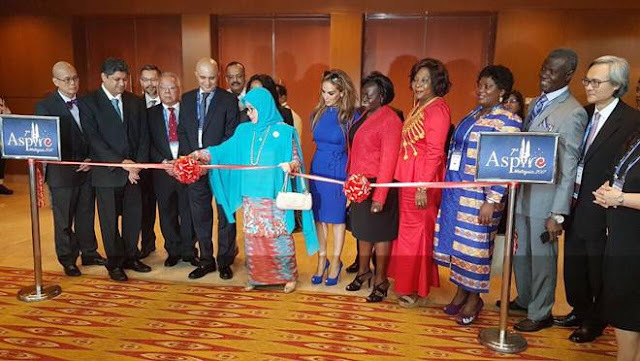 Her Royal Highness The Crown Princess Azizah of Pahang, Founder and Life President, Tunku Azizah Fertility Foundation, Malaysia, cuts the ribbon to mark the official opening of the 7th Congress of the Asia Pacific Initiative on Reproduction Congress (ASPIRE 2017) in Kuala Lumpur, Malaysia. Looking on are Dr. Rasha Kelej, Chief Social Officer, Merck Healthcare; Hon. Sarah Opendi, Minister of State for Health, Uganda; Hon. Zuliatu Cooper, Minister of Health and Sanitation, Sierra Leone; Hon. Betty Amongi, Minister of Lands, Housing and Urban Development, Uganda; Prof. Oladapo Ashiru, President of Africa Fertility Society; Prof. Tzeng Chii-Ruey, President of ASPIRE; Dr. Surinder Singh, Congress President; Dato’ Dr. Prashant Nadkarni; and Prof. P C Wong with Scientific Chairs and other ASPIRE officials. After the success of the collaboration between “Merck More than a Mother” and Indian and Indonesian fertility experts to provide practical embryology training, Merck will connect Africa with Asia to provide more opportunities for building capacity and interventions to empower infertile women and couples. 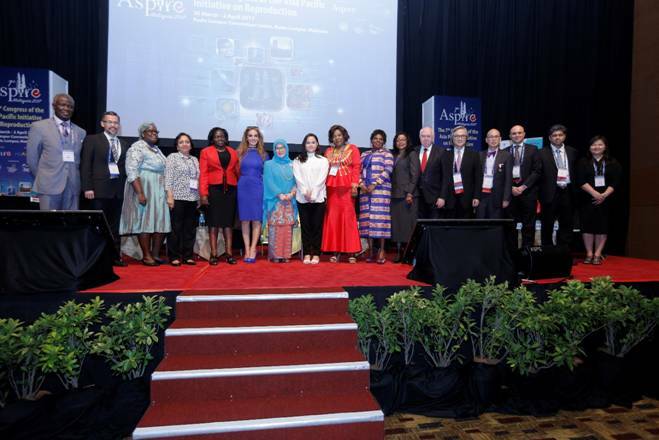 Her Royal Highness The Crown Princess Azizah of Pahang, Founder and Life President, Tunku Azizah Fertility Foundation, Malaysia accompanied by Dr. Rasha Kelej, Chief Social Officer, Merck Healthcare and other dignitaries.From left to right: Hon. Sarah Opendi, Minister of State for Health, Uganda; Dr. Kamini Rao, Chairperson of International Institute for Training and Research in Reproductive Health- IIRRH, India; Dr. Jaideep Malhotra, Immediate Past President of ASPIRE & President Elect of Federation of Obstetricians and Gynaecological Societies of India; Hon. Betty Amongi, Minister of Lands, Housing and Urban Development, Uganda; Hon. Joyce Lay, Member of Parliament, Kenya. 2nd row (L-R): Prof.Joe Leigh Simpson, Immediate Past President of International Federation of Fertility Societies; Prof. Oladapo Ashiru, President of Africa Fertility Society and Hon. Zuliatu Cooper, Minister of Health and Sanitation, Sierra Leone. “Through ‘Merck More than a Mother’ we empower an underprivileged segment of women. Women who couldn’t bear children and for this they are discriminated and mistreated by their husbands, families and communities. In some cultures, childless women still suffer discrimination, stigma and ostracism. This is unacceptable and has to change through our campaign,” emphasized Rasha Kelej, Chief Social Officer, Merck Healthcare. Watch below the stories of women who have suffered as a result of the infertility stigma. Group photo of the “Merck More than a Mother” high level panelists (left to right) Prof. Oladapo Ashiru, President of Africa Fertility Society; Dr. Ivan Sini, Chairman of Indonesian Reproductive Sciences Institute; Hon. Julieta Kavetuna, Deputy Minister of Health and Social Services, Namibia; Dr. Kamini Rao, Chairperson of International Institute for Training and Research in Reproductive Health, India; Hon. 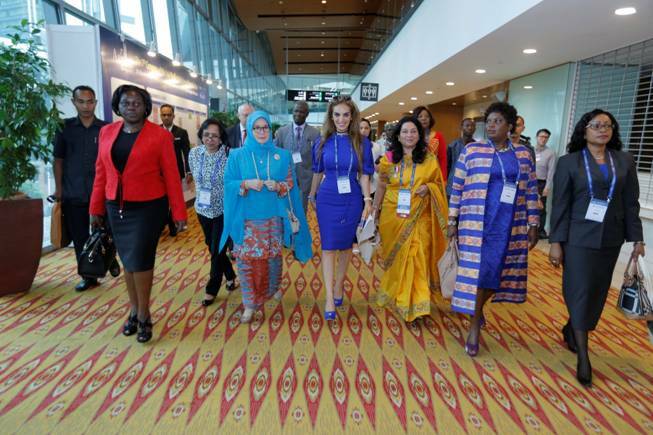 Sarah Opendi, Minister of State for Health, Uganda; Dr. Rasha Kelej, Chief Social Officer, Merck Healthcare;Her Royal Highness The Crown Princess Azizah of Pahang, Founder and Life President, Tunku Azizah Fertility Foundation, Malaysia;Hon. Zuliatu Cooper, Minister of Health and Sanitation, Sierra Leone; Hon. Betty Amongi, Minister of Lands, Housing, and Urban Development, Uganda; Hon. Joyce Lay, Member of Parliament, Kenya; Prof. Joe Leigh Simpson, Immediate Past President of International Federation of Fertility Societies joined by Prof. Tzeng Chii-Ruey, ASPIRE President; Prof. P C Wong; Dato’ Dr. Prashant Nadkarni, Scientific Chairs; Dr. Surinder Singh, Congress President and Ms. BoonHuey EE, Managing Director, Merck Malaysia. Her Royal Highness The Crown Princess Azizah of Pahang, Founder and Life President, Tunku Azizah Fertility Foundation, Malaysia and Dr. Rasha Kelej, Chief Social Officer, Merck Healthcare accompanied by (from left to right) Hon. Sarah Opendi, Minister of State for Health, Uganda; Dr. Kamini Rao, Chairperson of International Institute for Training and Research in Reproductive Health, India; Dr. Jaideep Malhotra, Immediate Past President of ASPIRE & President Elect of Federation of Obstetricians and Gynaecological Societies of India; Hon. Betty Amongi, Minister of Lands, Housing, and Urban Development, Uganda; and Hon. Joyce Lay, Member of Parliament. High level panellists during the “Merck More than a Mother” event: Her Royal Highness The Crown Princess Azizah (center) of Pahang, Founder and Life President, Tunku Azizah Fertility Foundation; Malaysia with Dr. Rasha Kelej (left), Chief Social Officer, Merck Healthcare with (from left to right) Dr. Ivan Sini, Chairman, Indonesian Reproductive Sciences Institute; Hon. Julieta Kavetuna, Deputy Minister of Health and Social Services, Namibia; Dr. Kamini Rao, Chairperson of International Institute for Training and Research in Reproductive Health, India; Hon. Sarah Opendi, Minister of State for Health, Uganda; Hon. Zuliatu Cooper, Minister of Health and Sanitation, Sierra Leone; Hon. Betty Amongi, Minister of Lands, Housing and Urban Development, Uganda; Hon. Joyce Lay, Member of Parliament, Kenya; Dr. Jaideep Malhotra, Immediate Past President of ASPIRE & President Elect of Federation of Obstetricians and Gynaecological Societies of India and Prof. Joe Leigh Simpson, Immediate Past President of International Federation of Fertility Societies. The high-level panel discussion included: Her Royal Highness The Crown Princess Azizah of Pahang, Founder and Life President, Tunku Azizah Fertility Foundation, Malaysia; Hon. Sarah Opendi, Minister of State of Health, Uganda; Hon. Zuliatu Cooper, Minister of Health and Sanitation, Sierra Leone; Hon. Betty Amongi, Minister of Lands, Housing and Urban Development, Uganda; Hon. Julieta Kavetuna, Deputy Minister of Health and Social Services, Namibia; Hon. Joyce Lay, Member of Parliament, Kenya; Dr. Ivan Sini, Chairman, Indonesian Reproductive Sciences Institute; Dr. Kamini Rao, Chairperson of International Institute for Training and Research in Reproductive Health; Prof. Oladapo Ashiru, President of Africa Fertility Society, Nigeria; Dr. Jaideep Malhotra, immediate Past President, ASPIRE India; Prof. Joe Simpson, Immediate Past President, International Federation of Fertility Societies; and Dr. Rasha Kelej, Chief Social Officer, Merck Healthcare. Her Royal Highness The Crown Princess Azizah of Pahang, Founder and Life President, Tunku Azizah Fertility Foundation, Malaysia, emphasized at the high level panel that she strongly supports Merck More than a Mother campaign to support all infertile women, not only in Africa but all over the world. “Infertility is a global issue, all childless women face different kinds of social suffering and mistreatment everywhere in the world,” she said. Minister of State for Health of Uganda, Hon. 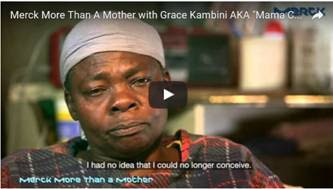 Sarah Opendi emphasized: “In Uganda, between 15-20% of couples fail to conceive. Fertility clinics in the country to address this problem are few and expensive. Together with “Merck More than a Mother” and as Merck More than a Mother Ambassador; we are together with Merck creating awareness that infertility can be prevented and that to improve access, fertility care can be integrated into the existing public reproductive healthcare services which will be cost effective as the infrastructure is already there. In addition we are building a hospital for Women Health where an IVF center will be established to provide couples with affordable and effective treatment with the support of the Merck Embryologist Training Program”. “This a historic achievement for Africa, as Merck More than a Mother will do the same in Liberia where currently there are no fertility care facilities and infertile couples have to get treatment abroad too,” Zuliatu Cooper added. 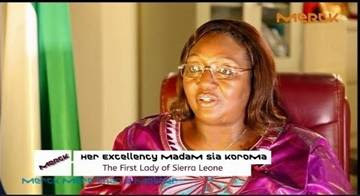 “Merck More than a Mother” is championed by the First Ladies of Central African Republic and Sierra Leone, Madam Brigitte Touadera and Madam Sia Koroma respectively. It was first implemented in Kenya in 2015 followed by Uganda, Nigeria, Tanzania, Ghana, Cote D’Ivoire and Central African Republic in 2016 and in Liberia and Sierra Leone in 2017. 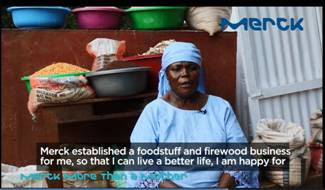 Through ‘Empowering Berna’, “Merck More than a Mother” supports infertile women who can no longer be treated by empowering them socially and economically to lead independent and happier lives. 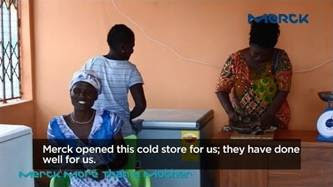 Over 1,000 infertile women in Kenya, Uganda, Nigeria, Ghana, Tanzania, Central African Republic, Ethiopia, Liberia and Cote D’Ivoire who can no longer be treated have been empowered through the “Empowering Berna” project. 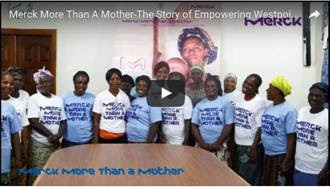 Watch below video on the stories of infertile women from Liberia, Uganda, Ghana, Nigeria and Cote d’Ivoire before and after they enrolled in “Merck More than a Mother’s” Empowering Berna project. “Merck More than a Mother” also provides training programmes for embryologists in Africa to improve access to cost-effective fertility care. In addition, it supports governments to define policies to regulate ART, address the need for interventions to break the stigma around infertile women and raise awareness about infertility prevention and male infertility and the necessity for a team approach to family building among couples. The training of African embryologists has already started in Indonesia and India and is benefitting eight participants from Uganda, Kenya, Tanzania, Nigeria and Ghana. “Merck More than a Mother” will also support fertility training for healthcare providers in Sierra Leone and Liberia to establish a fertility experts’ platform that will enable childless couples to be treated in their home countries for the first time. 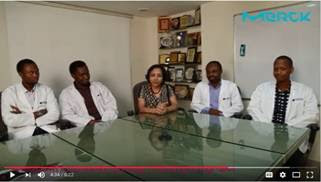 Watch the videos below of the ‘Merck Africa Embryology Training Program’ in India and Indonesia as trainees from Uganda, Kenya, Tanzania, Ghana and Nigeria share their experience.